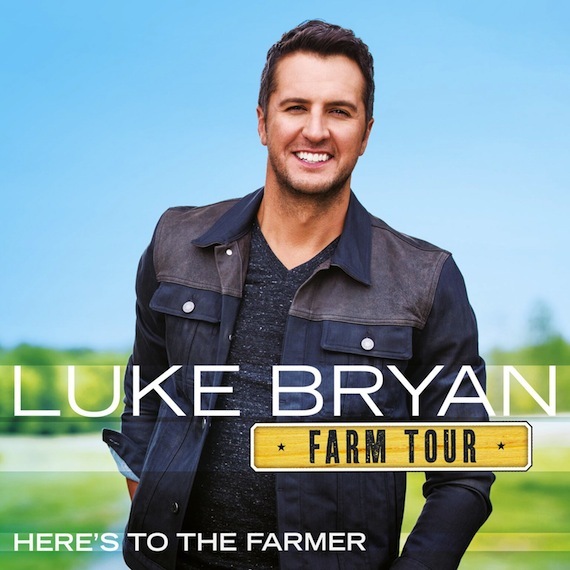 Luke Bryan will release an EP of all new music titled Farm Tour…Here’s to the Farmer on Sept. 23. Although the upcoming shows will mark the entertainer’s eighth annual Farm Tour, this is the first time Bryan has released a Farm Tour EP. Tickets for the Farm Tour 2016, which is presented by Bayer, go on sale to the general public on Friday (June 24). During last year’s tour, Bryan performed for over 110,000 fans during the eight-city run. A portion of the ticket proceeds are granted for local college scholarships to students from a farming family or a student that is an agriculture major within the communities the tour plays. Additionally, Bryan and Bayer make a presentation to a local farmer onstage in each city of the Farm Tour.